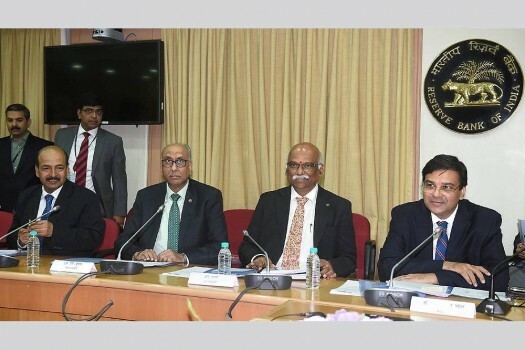 Finance Minister Arun Jitlkey with RBI Governor Urjit Patel at the 19th meeting of Financial Stability and Development Council (FSDC) at Finance Ministry in New Delhi. 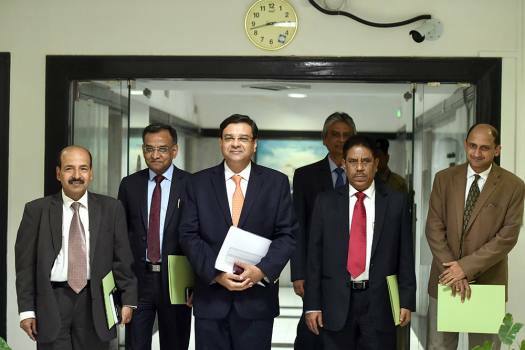 RBI Governor Urjit Patel (2nd L) with deputy governors arrive for a post-monetary policy press conference, in Mumbai. 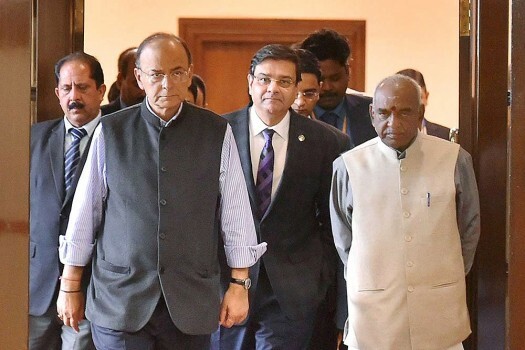 Finance Minister Arun Jaitley, MoS for Finance, P Radhakrishnan and RBI Governor Urjit Patel arrive for the 569th Central Board Meeting of RBI, in New Delhi. 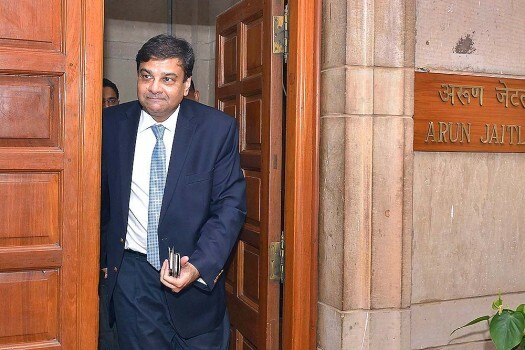 RBI Governor Urjit Patel leaves Finance Minister Arun Jaitley's office, at North Block in New Delhi. 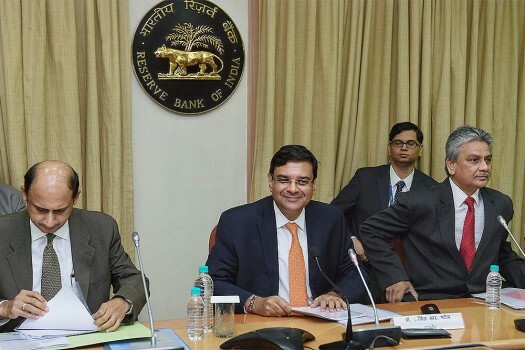 RBI Governer Urjit Patel, flanked by RBI Deputy Governers and Directors, addressing a press conference to announce the quarterly monetary policy, at RBI head-office in Mumbai. 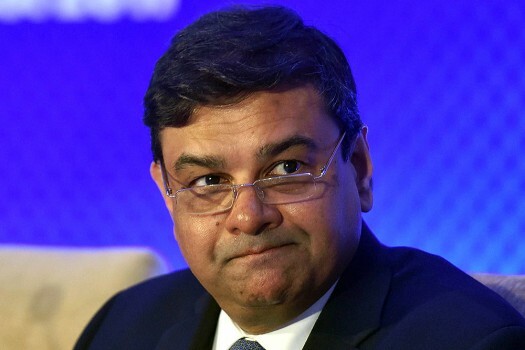 RBI Governor Urjit Patel at a press conference to announce the monetary policy, at the RBI head-office in Mumbai. 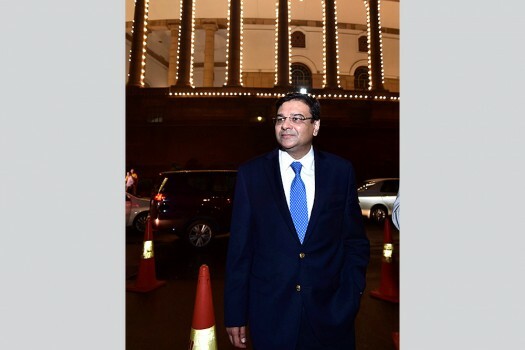 RBI governor Urjit Patel leaves Parliament after the launch of 'Goods and Services Tax (GST)' in New Delhi. 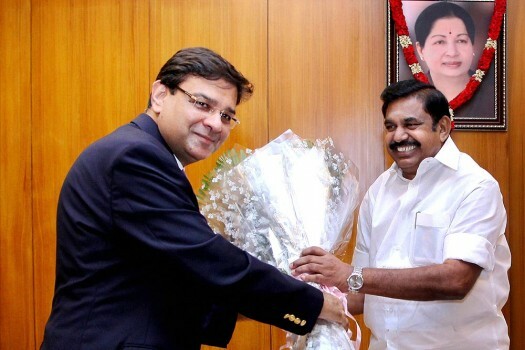 Reserve Bank of India Governor Urjit Patel presenting a floral bouquet to Tamil Nadu Chief Minister K Palaniswami during a meeting at the Secretariat, in Chennai. 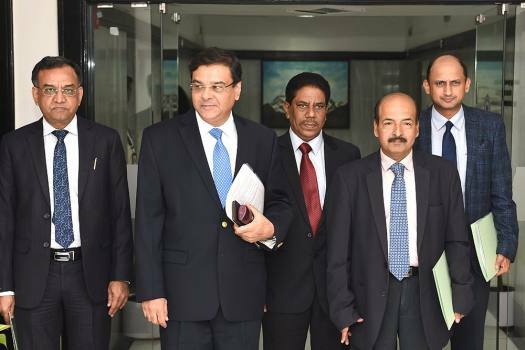 RBI Governor Urjit Patel after the Financial Stability and Development Council (FSDC) meeting at North block, in New Delhi. 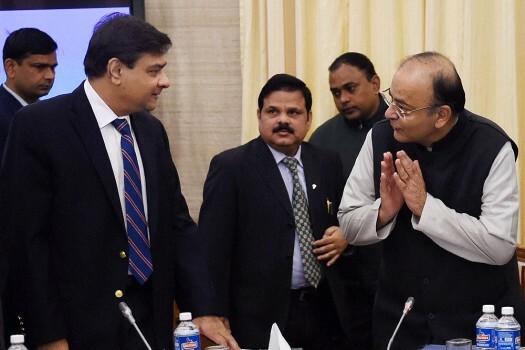 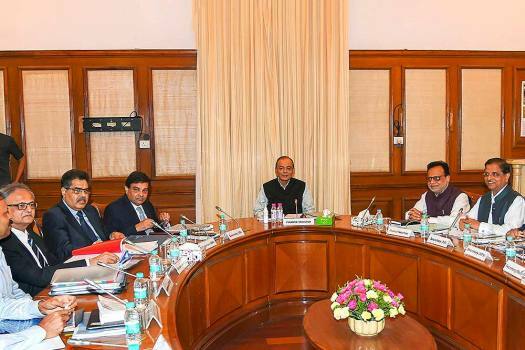 Finance Minister Arun Jaitley with RBI Governor Urjit Patel at the Financial Stability and Development Council (FSDC) meeting at North Block, in New Delhi. 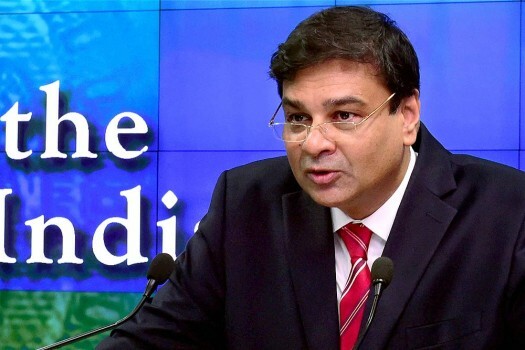 RBI Governor Urjit Patel at a press conference in New Delhi explaining the reasons why Rs 500 and 1000 currency notes were banned and the back-up plans. 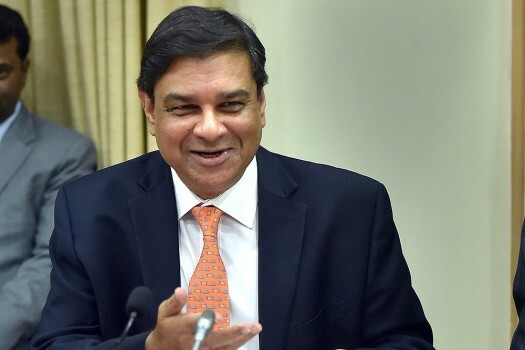 On 8 November 2016, the Government of India announced the demonetisation of all Rs 500 and Rs 1000 banknotes of the Mahatma Gandhi Series. 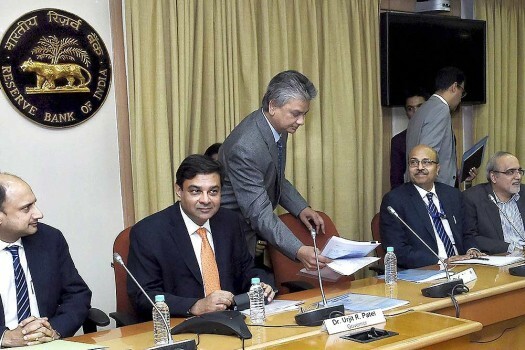 After Patel's resignation, the government appointed former bureaucrat Shaktikanta Das as the Governor of RBI. 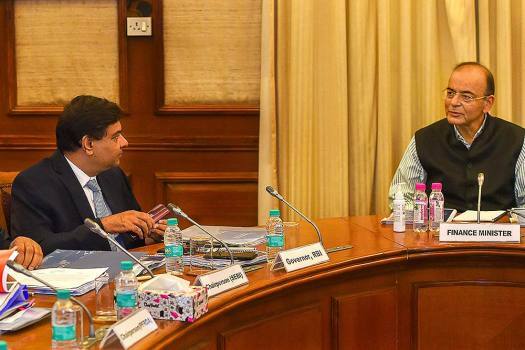 The 30-scrip Sensitive Index (Sensex) of BSE on Wednesday opened on a positive note during the morning session of the trade at 35,277.84 points and touched a high of 35,329.37 points. 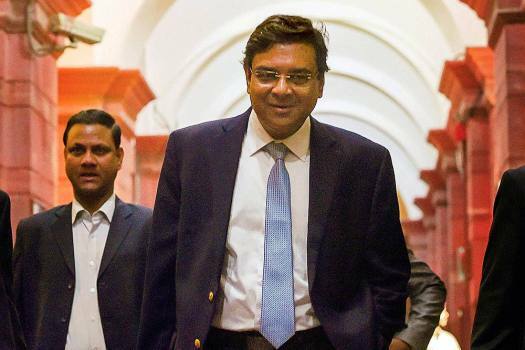 The Sensex had plunged 714 points Monday in its worst session in two months on pre-poll jitters. 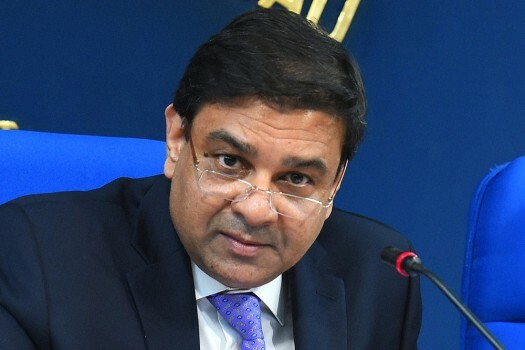 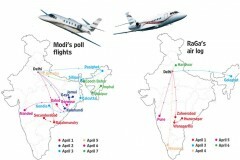 Analysts said the RBI governor's surprise resignation and the ruling BJP's loss in state elections unnerved forex traders. 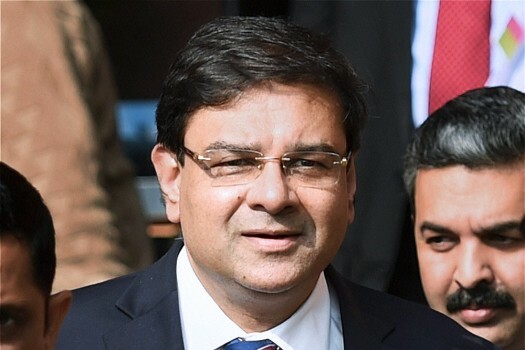 The key stock exchanges had a gap-down opening on Tuesday with the BSE Sensex losing over 500 points after the surprise resignation of RBI Governor Urjit Patel.